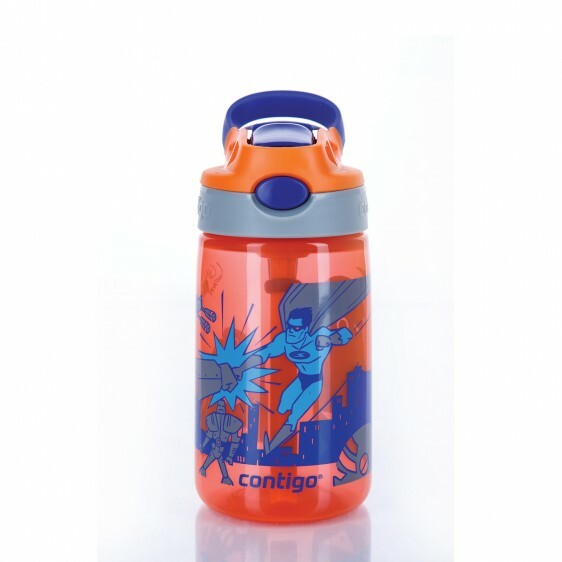 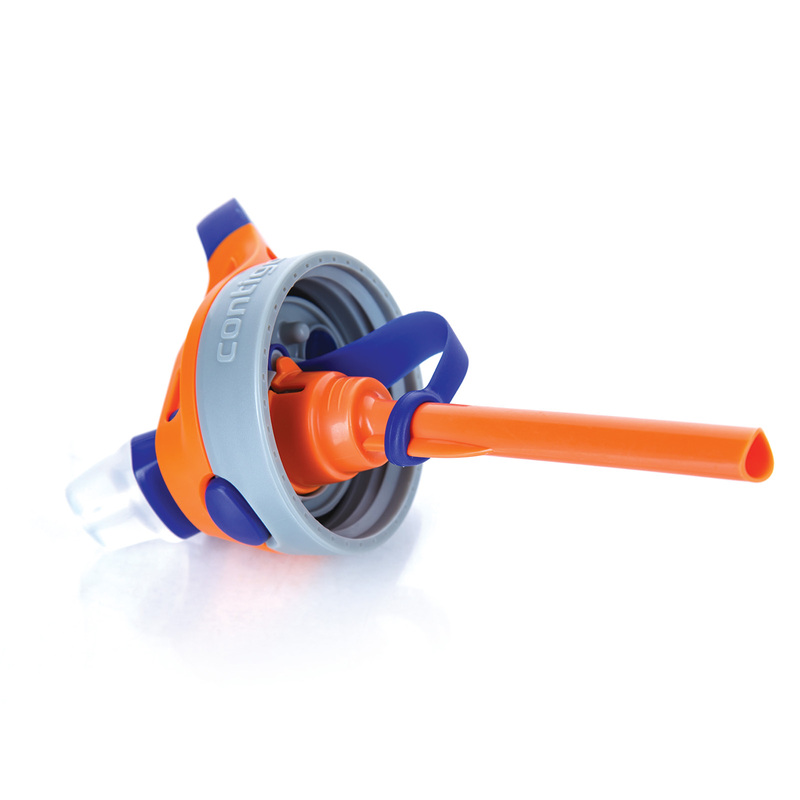 Contigo developed a 100% spill & leak proof kids bottle, Gizmo Flip. The kids bottle is equipped with the patented AUTOSPOUT® technology. 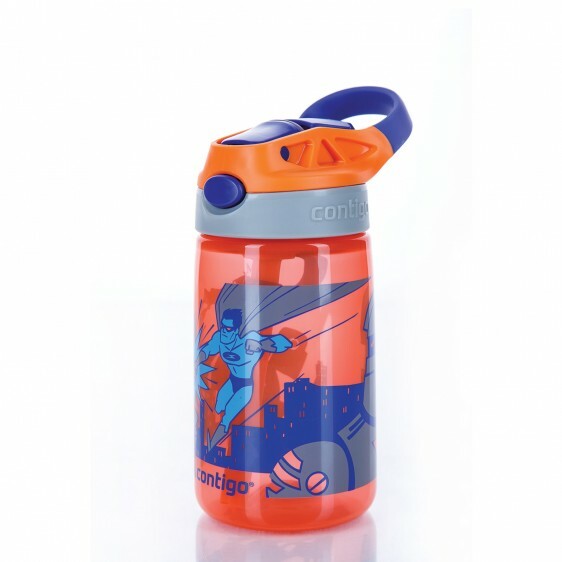 Press the button to drink and the spout pops up. Because of the angled straw, it's possible to drink every last drop and the straw is securely attached to the lid. 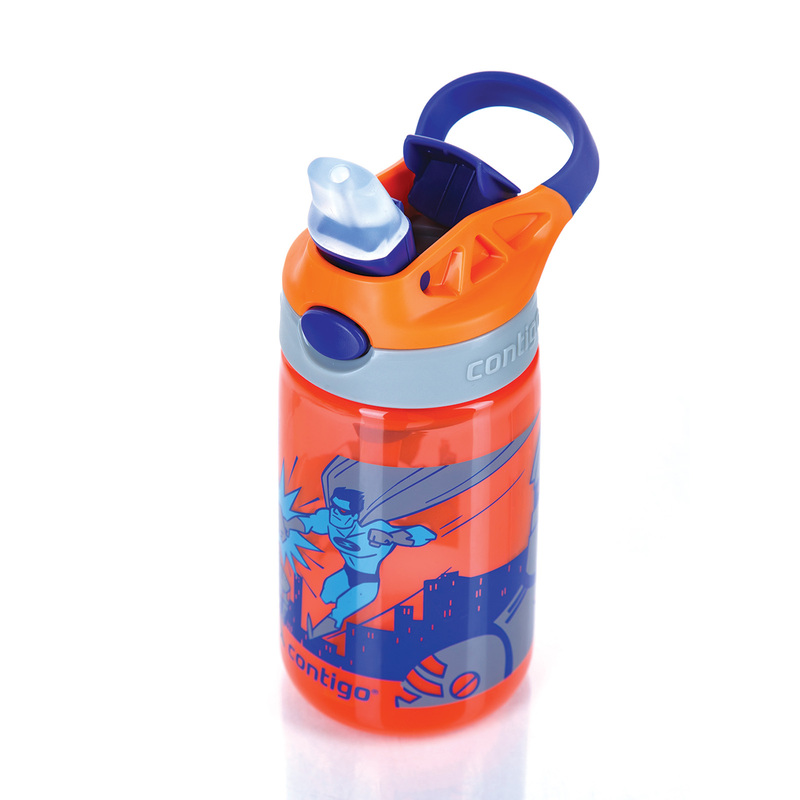 The carry loop with soft grip, it’s very easy for kids to use the bottle and carry it around. 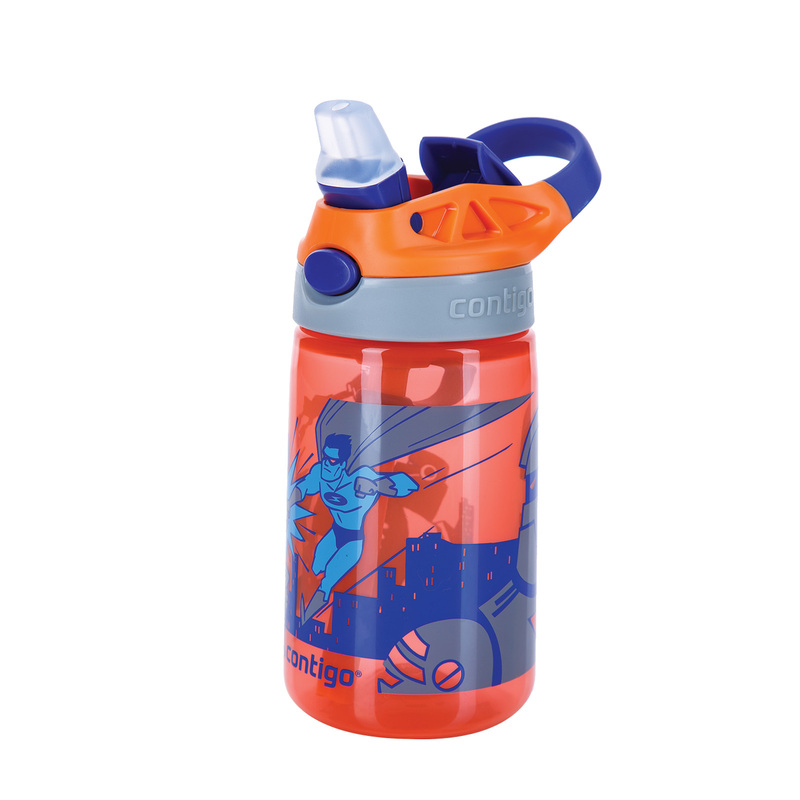 The spout cover, keeps the spout clean from dirt.